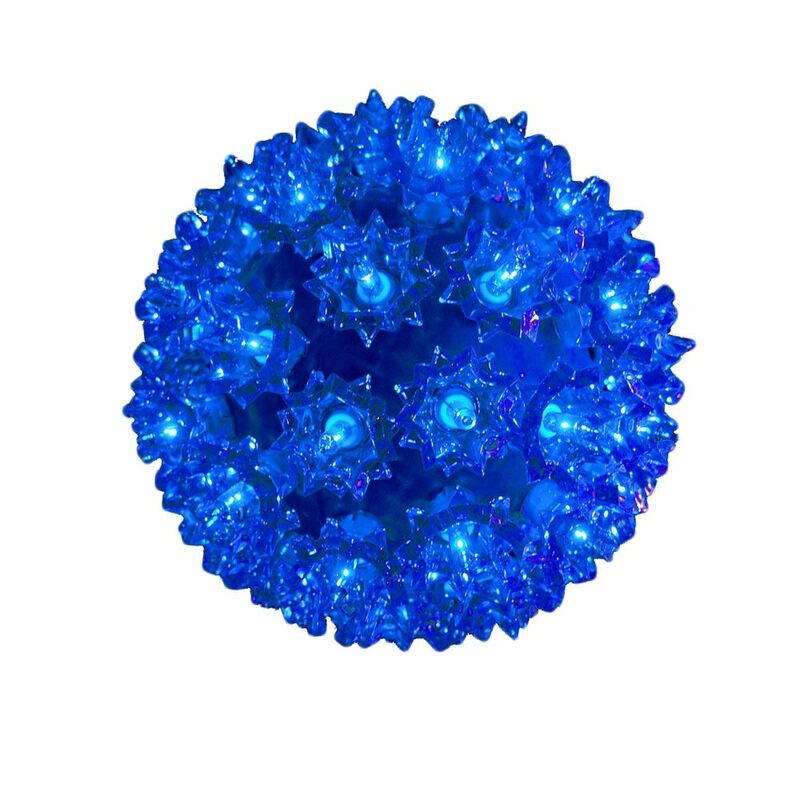 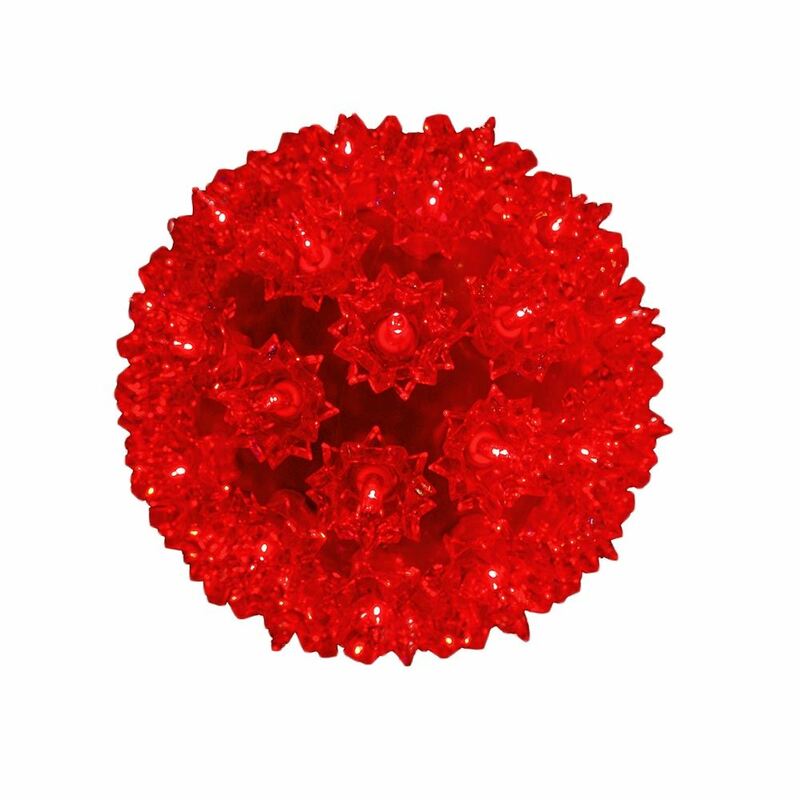 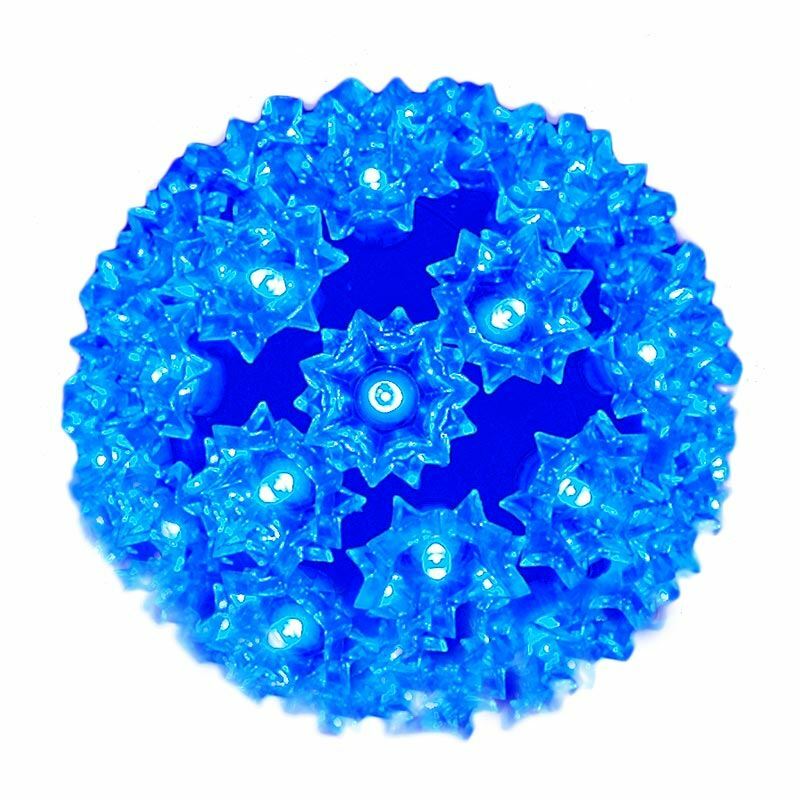 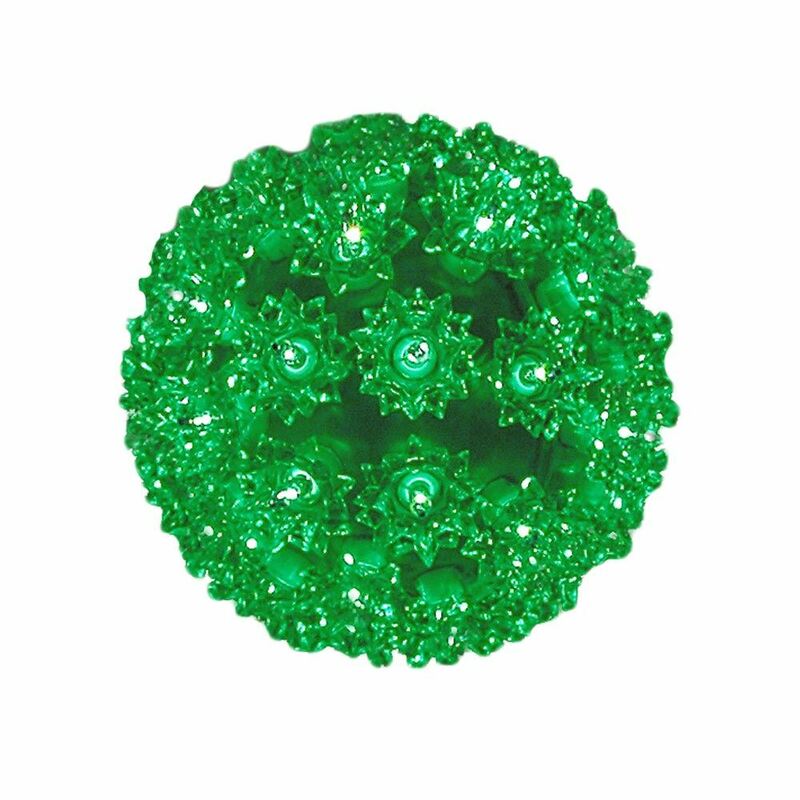 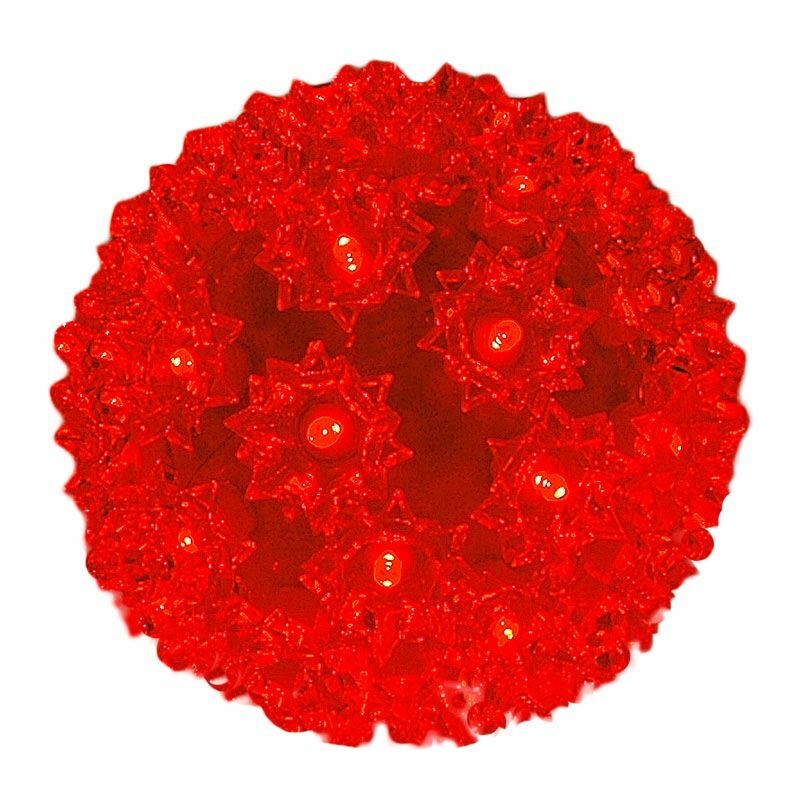 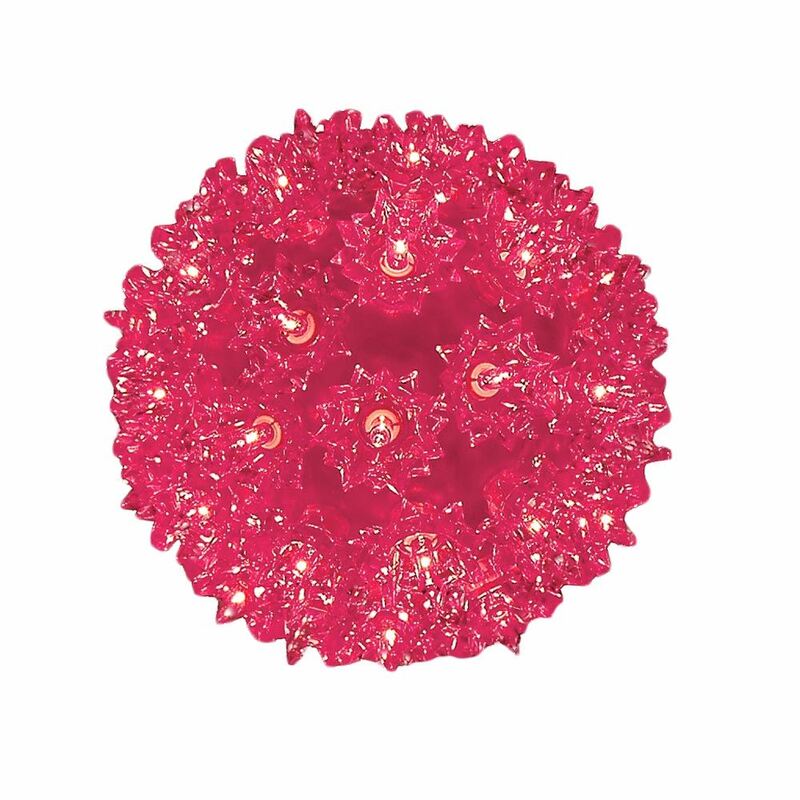 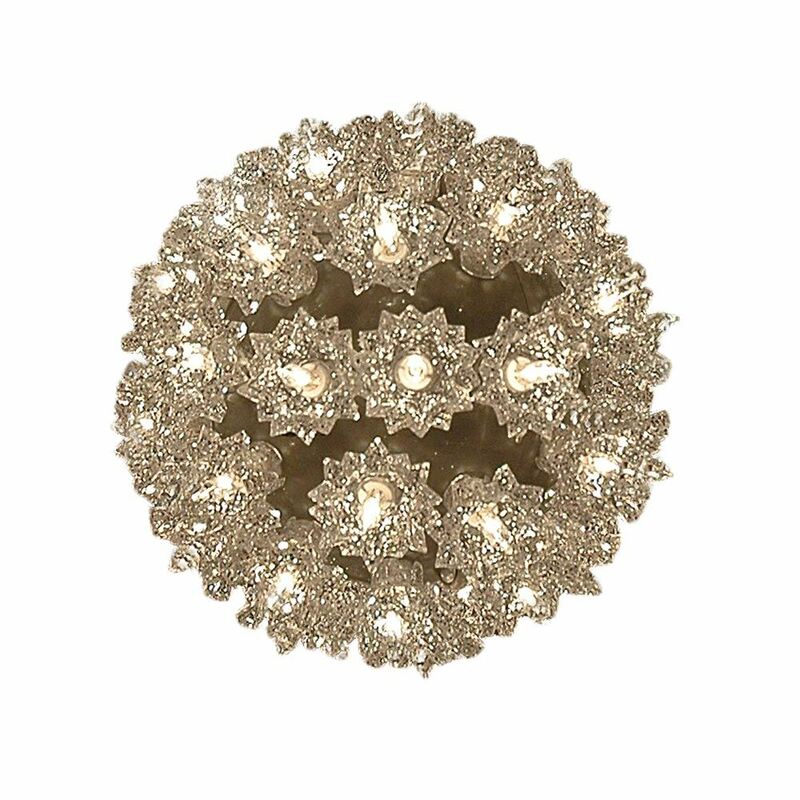 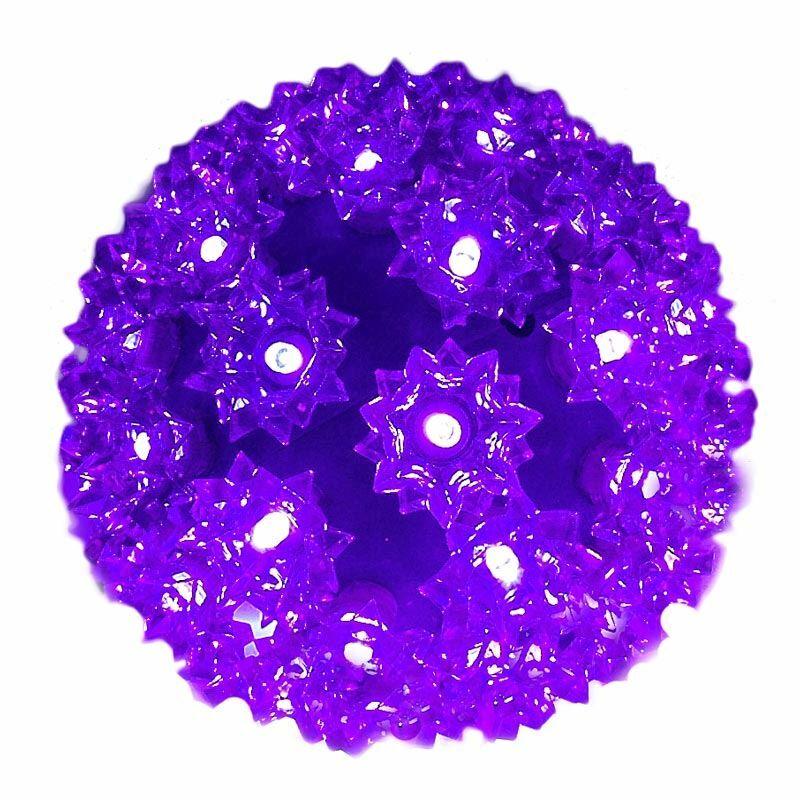 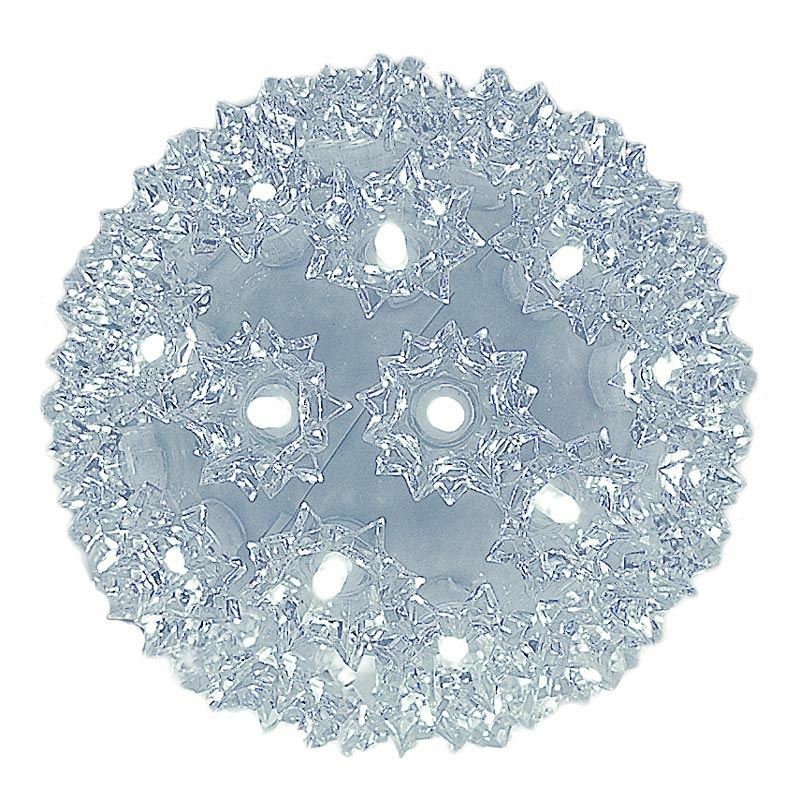 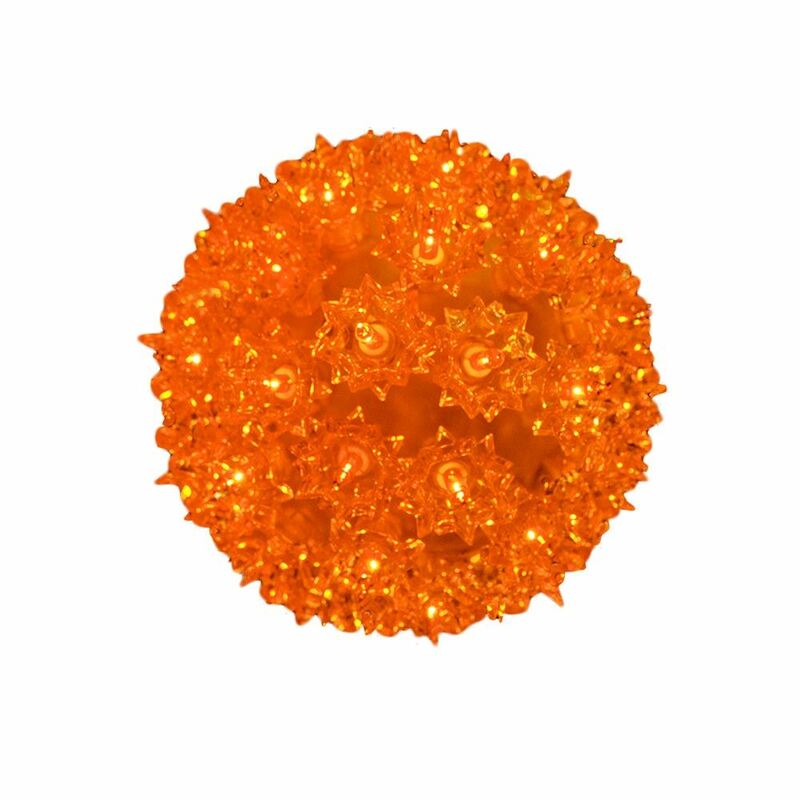 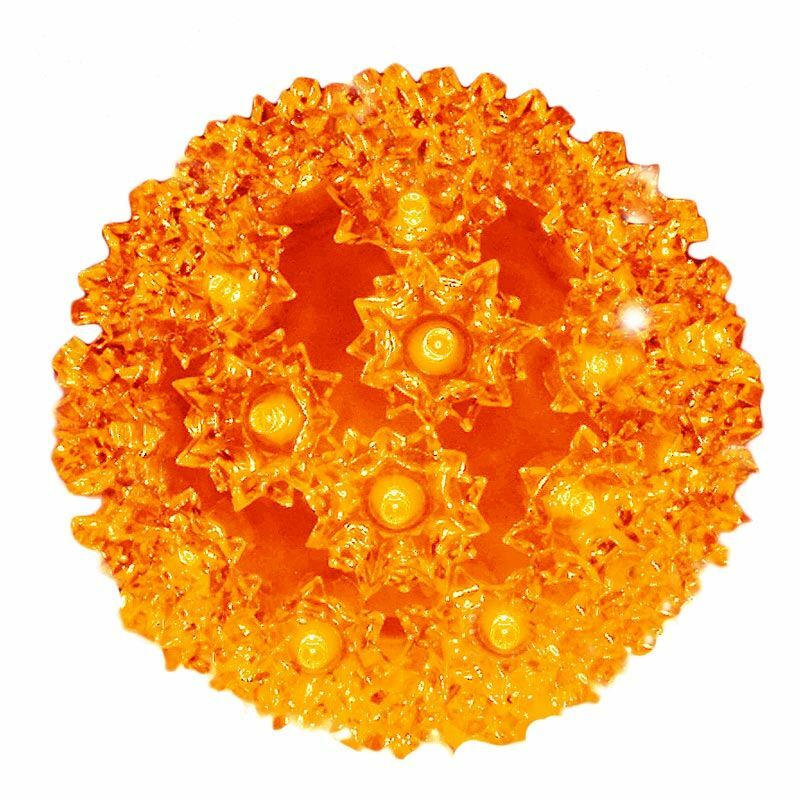 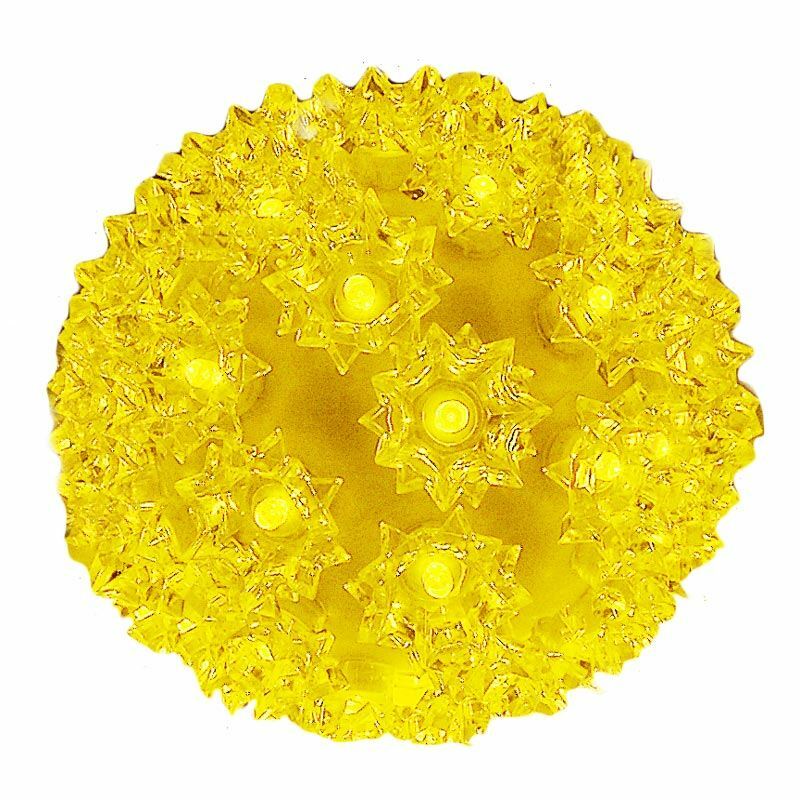 Our 6" Starlight Spheres are our smallest and lightest sphere and are perfect for hanging in windows, porches, or trees. 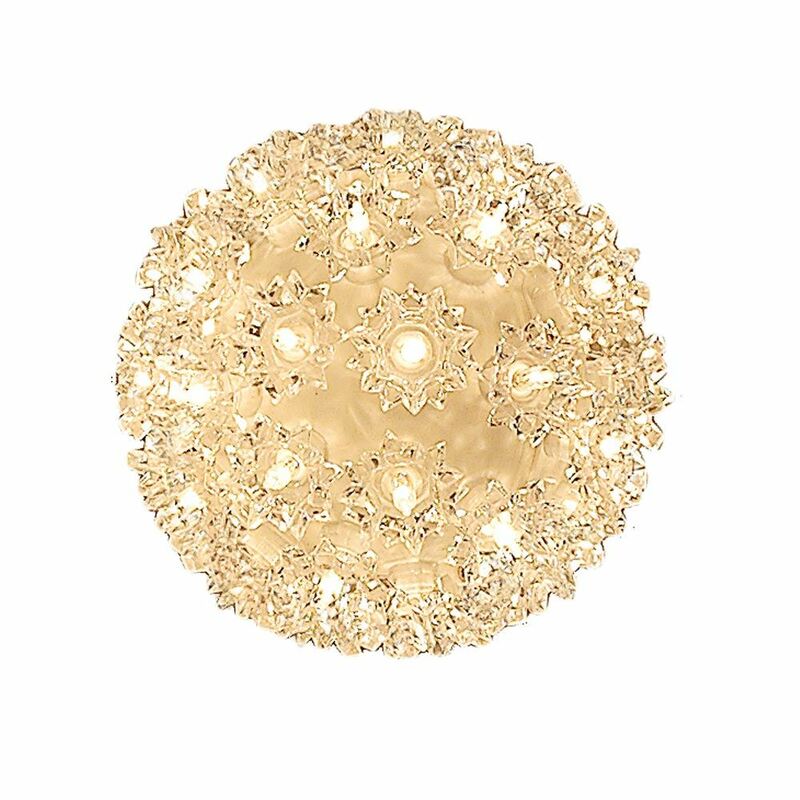 Small in size but packing a dazzling effect. 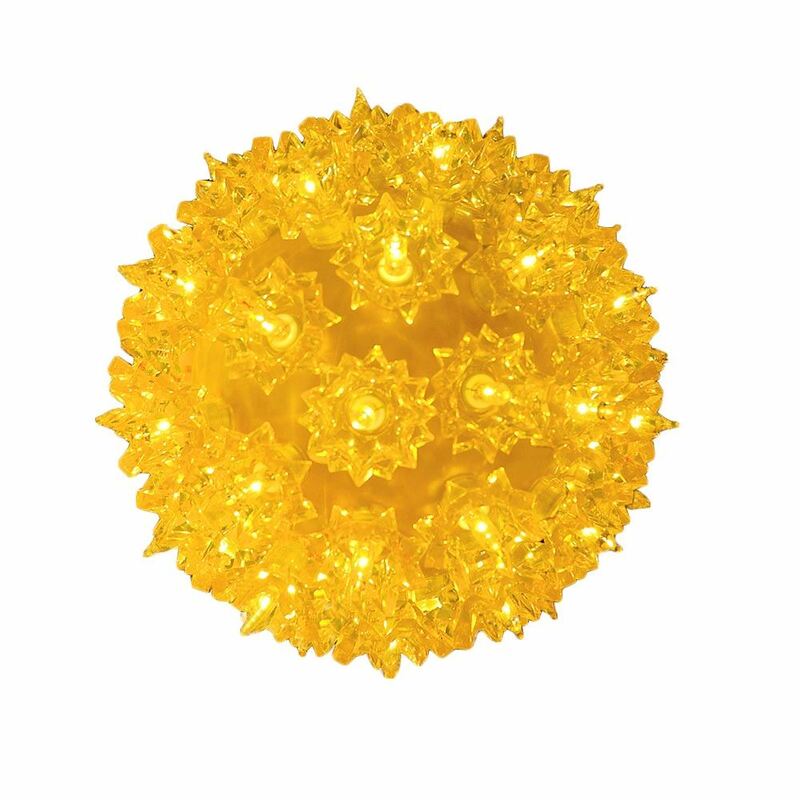 Our 6" Starlight Sphere has 50 miniature lamps reflecting off multiple shimmering stars. 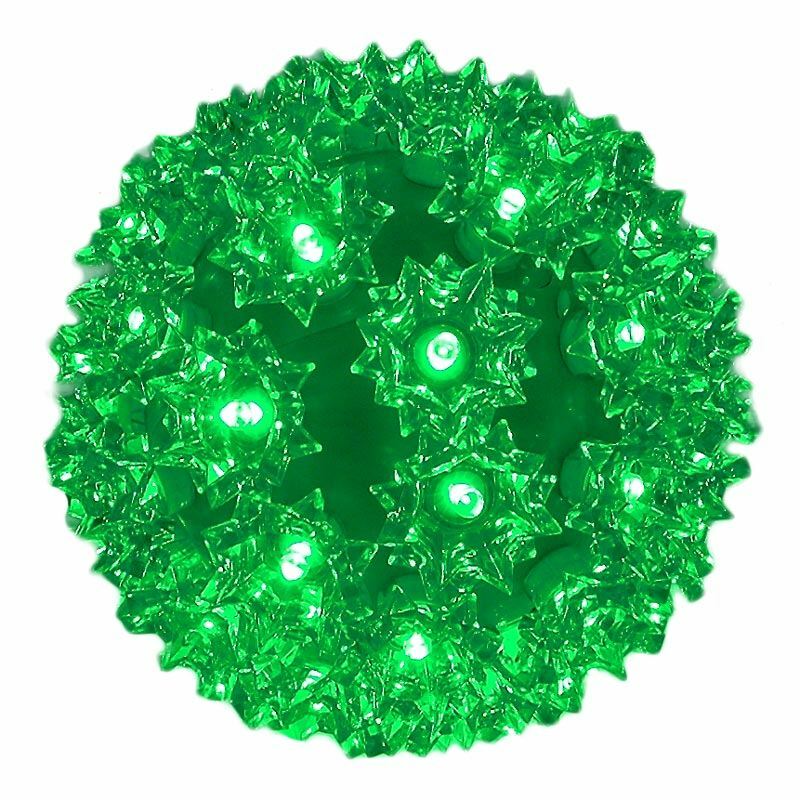 The 50 Light Starlight Sphere looks great hanging by itself or combined with one of our larger size starlight spheres. 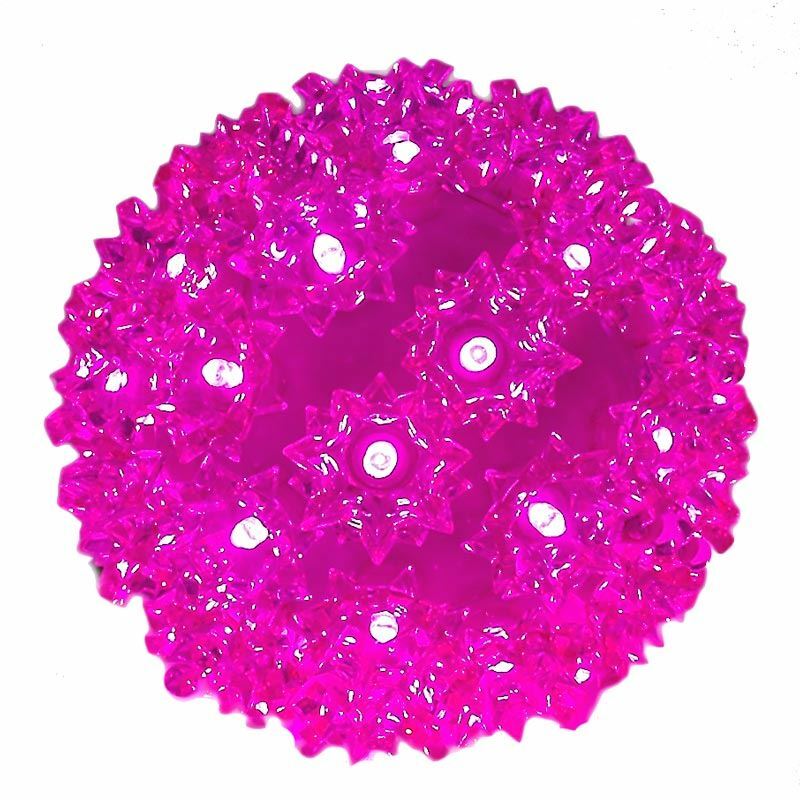 Starlight spheres can be used year around because they are useful for all special occasions. 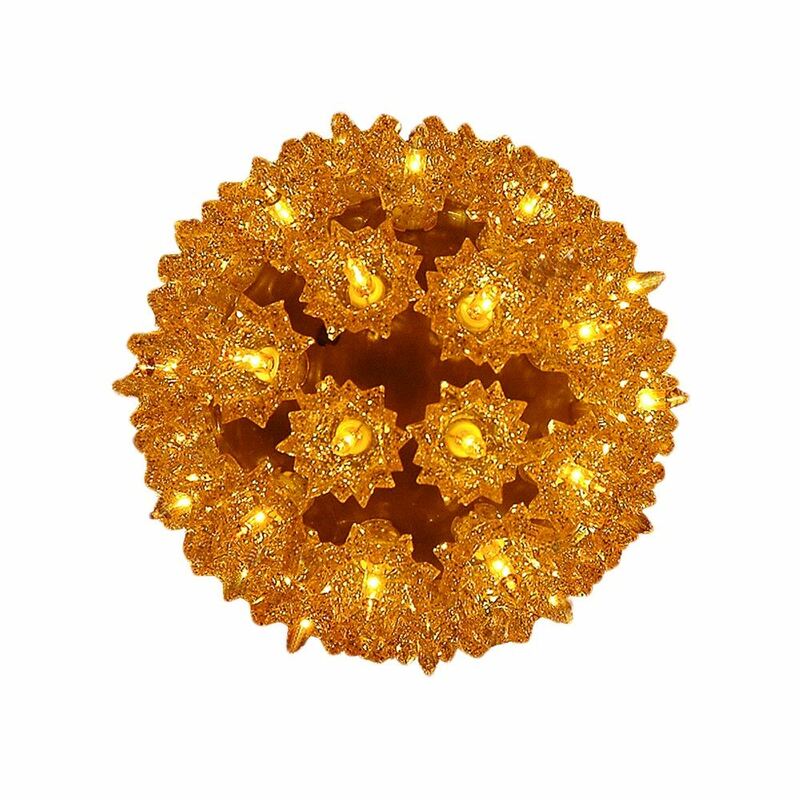 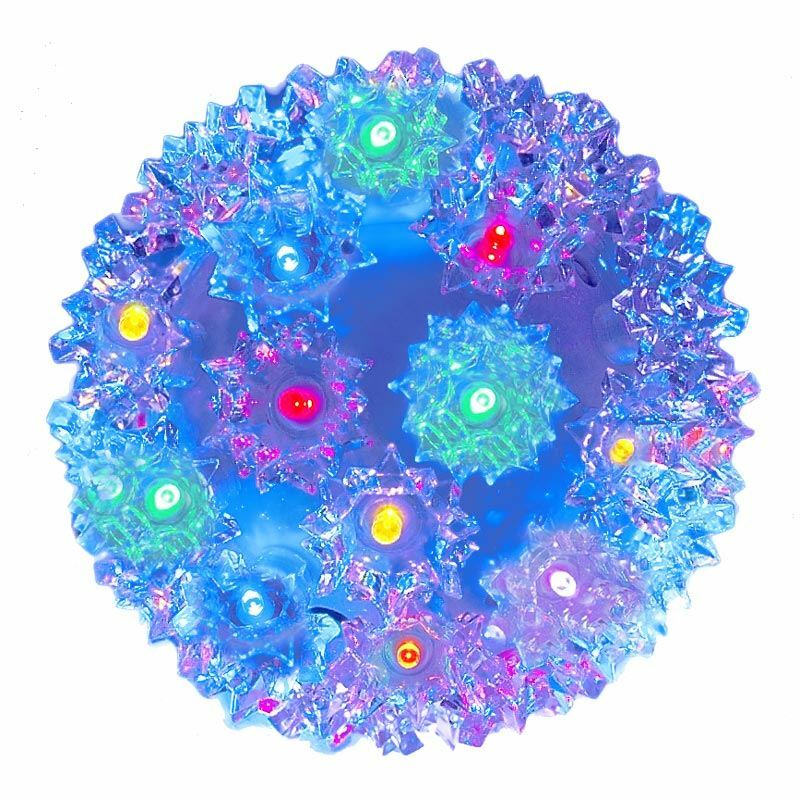 Our starlight spheres are manufactured exclusively by GKI Bethlehem lights for Novelty Lights. 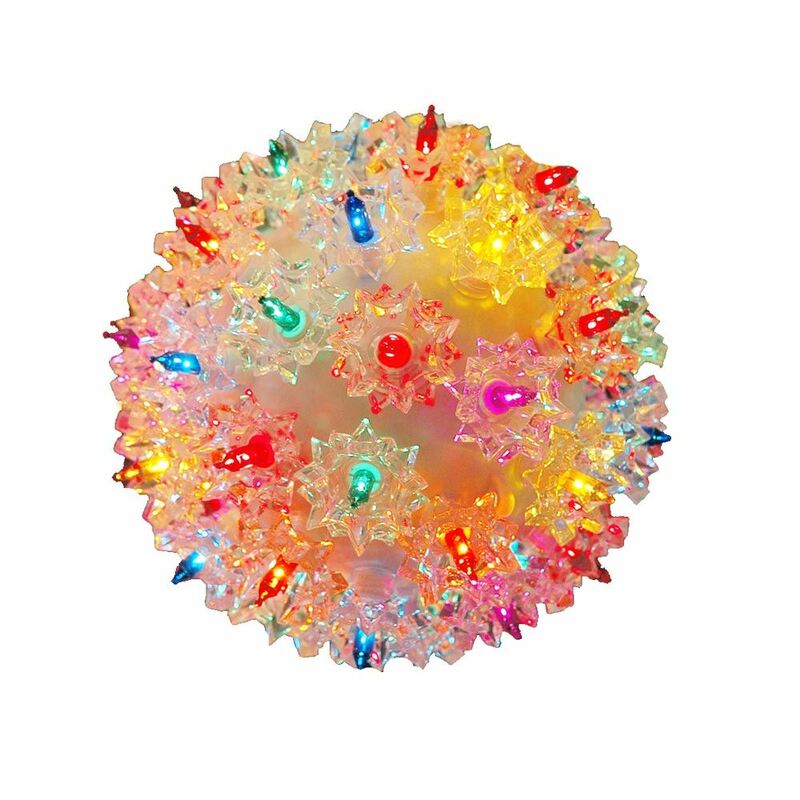 The 50 light mini Christmas light balls are available in the following colors: clear, red, green, blue, amber, yellow, purple and multi colored. 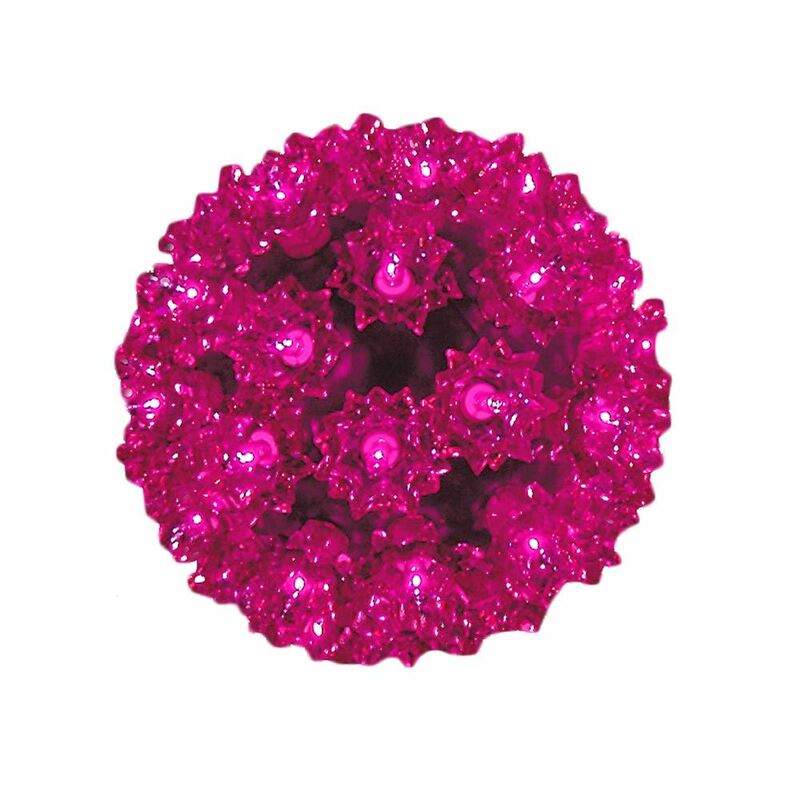 Please call or email for availability if you do not see the color you need. 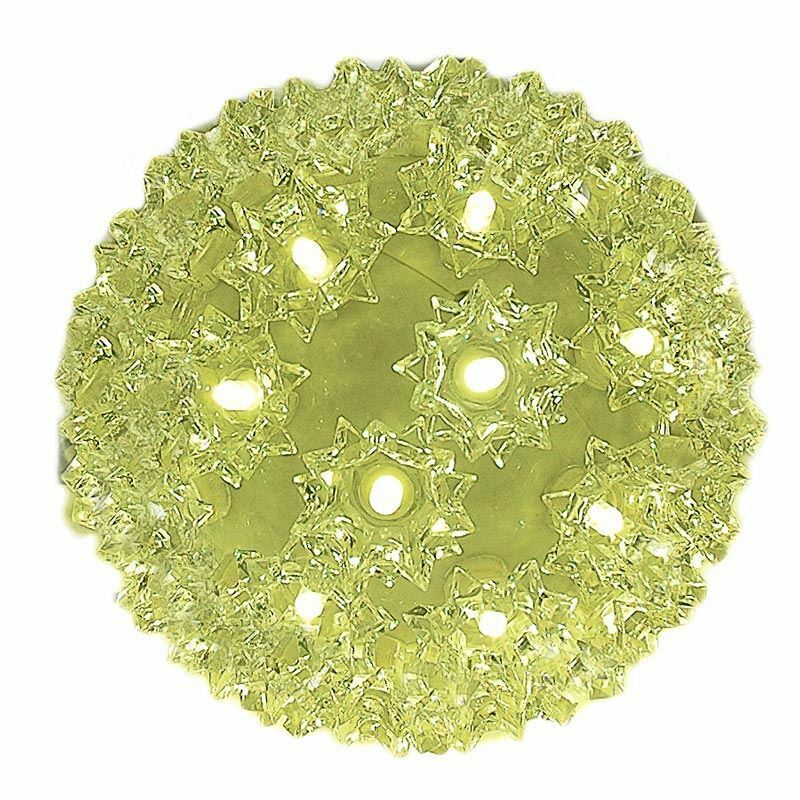 Yellow 50 Light Mini Starlight Sphere 6"
Silver 50 Light Mini Starlight Sphere 6"
Purple 50 Light Mini Starlight Sphere 6"
Amber 50 Light Mini Starlight Sphere 6"
Green 50 Light Mini Starlight Sphere 6"